Here at LL we are super stoked and honored to have the privilege to sit down and speak to the wonderful jewelry designer Lorraine West. 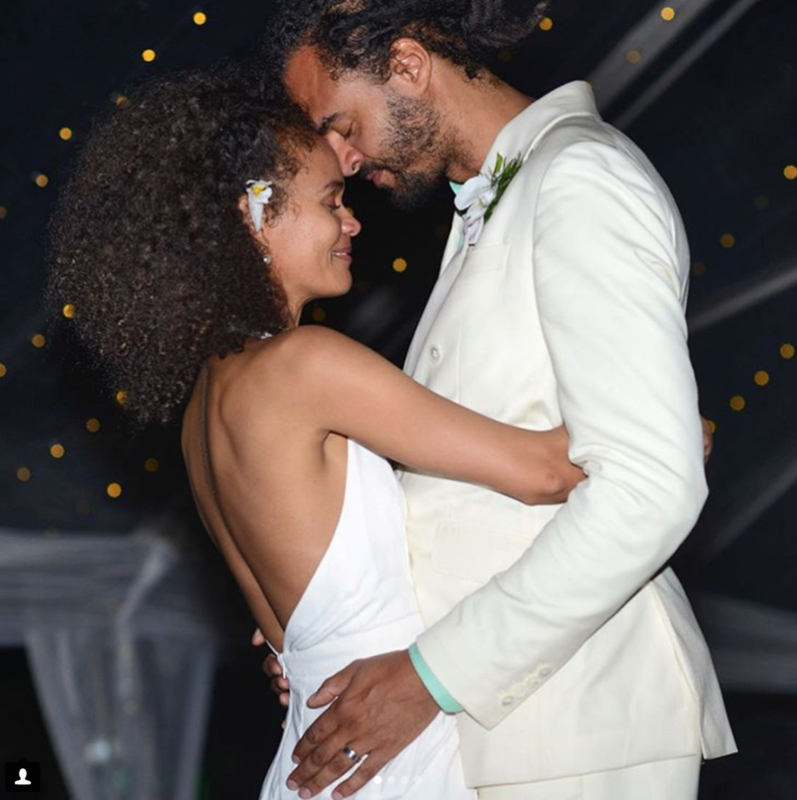 She’s best known for her exclusive and custom designed engagement rings and jewelry for stars such as Alicia Keys, Erykah Badu, Paula Patton and Ava DuVernay just to name a few. Her works are all handmade by her and her team of expert artisans in NYC. We are happy to learn about her design process and her best tips on wedding and engagement jewelry purchasing. 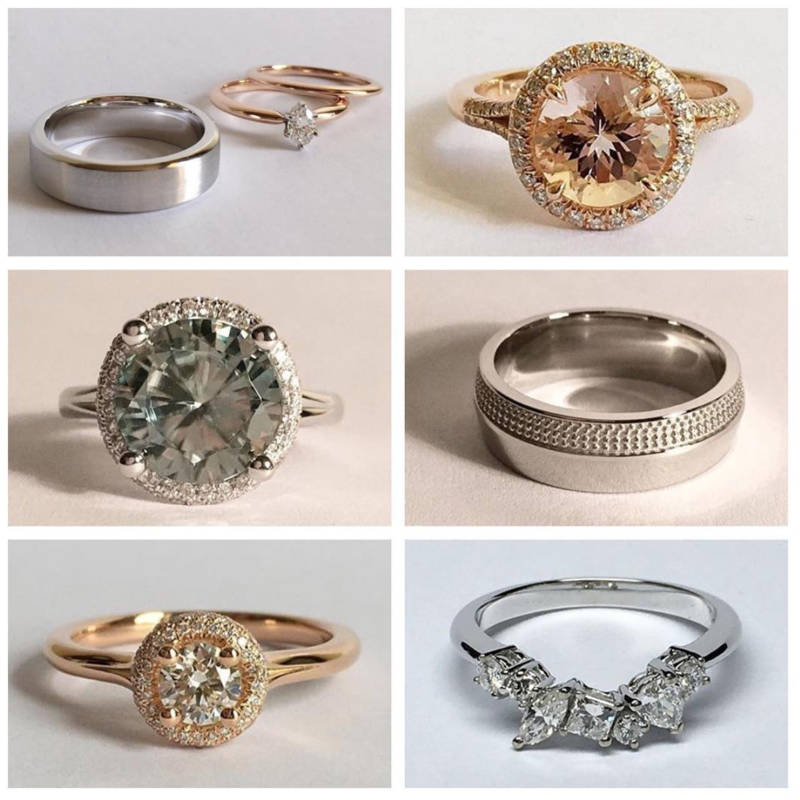 How do you find your inspiration for your unique and beautiful wedding and engagement ring pieces? LW: I’m inspired by the beauty of my life experiences. I’m drawn to a mix of organic shapes in nature and clean lines found in geometry and architecture. I seek the balance of both sensibilities in my life and in my designs. I also have a fascination with various spiritual symbols. Adding symbology to a ring design can describe the intent in which the couple wants to live by together. One of my biggest forms of inspiration, when working on custom engagement rings with clients, is listening to them share their love stories. The clients love story illustrates images in my mind of what elements the ring may need to depict their dream ring. The more details the clients share the better. I then take the information and do my visual research before sketching out ideas. What are the top 3 things couples need to know when they come to you for their custom engagement ring? 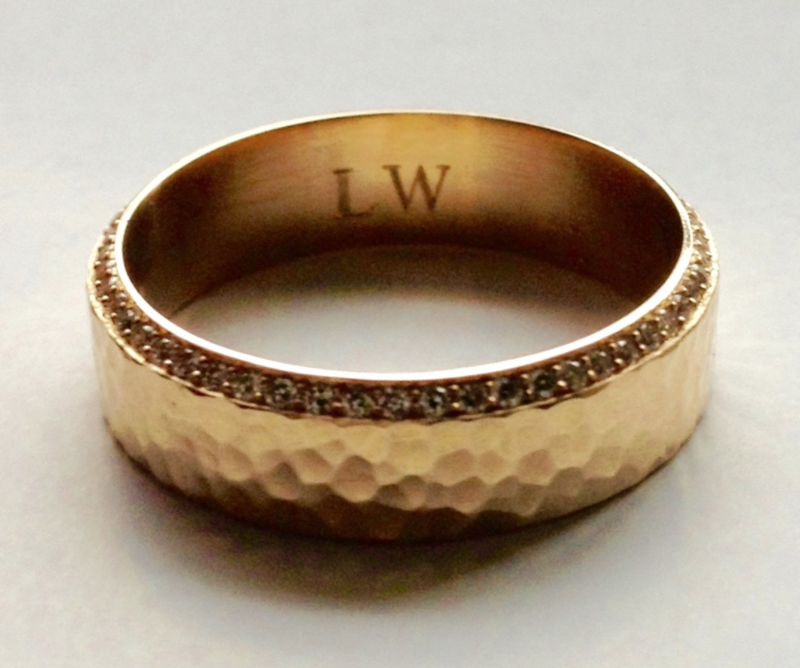 LW: First - Be realistic with your budget and time frame in which you would like the ring by. Second - Fill out my new client questionnaire form on lorrainewestjewery.com. Ask for any price quotes of my existing custom designs you may find interest in. 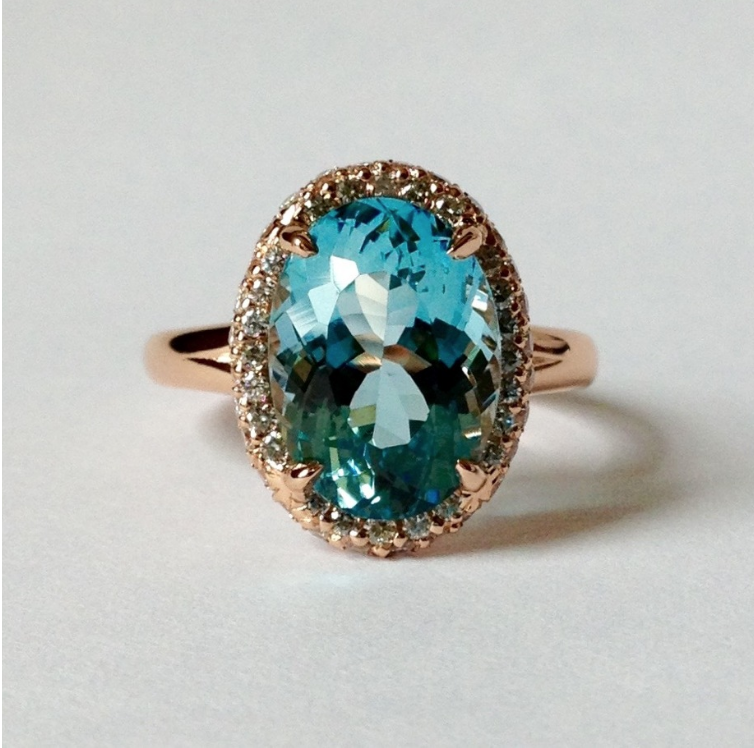 Since every ring is so unique based on gemstone choices and fabrications, prices may vary. My new client questionnaire form has a list of questions from what stone types, metal types, budget and time frame the client is interesting in. It’s an effective tool to help me determine how to move forward with the new client inquiries. After I review the new client form, I send a reply along with an attachment of my process and policy form. The document explains from start to finish how we would proceed in working together. Third – Get inspired. If the clients have an idea of the style of ring they want, they can compile inspirational images and attach it to the questionnaire form. We can composite ideas and collaborate on something unique together. When did you know designing and making fine jewelry is your calling in life? And how did it happen? LW: I was studying Illustration at Fashion Institute of Technology and took one elective class in wax carving. I carved an abstract initial pendant out of wax and cast it in sterling silver. I had no clue I would have formed an instant bond with metal so strong. From that point I decided to teach myself by trial and error. I’ve been learning and growing my craft ever since. What is your most favorite thing about designing and making engagement rings? LW: I love the whole process from start to finish. But, since you asked I’ll say it’s sourcing the gemstones. I love looking for the perfect gemstone that speaks to the goal in mind. I am very detailed oriented and shop for my gems in person. If I can’t find what I’m looking in NYC then I’ll partner with a couple different lapidary artists to create custom cuts of gems. Do you have a favorite type of stone, setting, cut, or type of metal you love to use for your engagement rings? If yes, what are they? LW: Again I love them all. The most popular gem I work with is morganite, a clear pink gem variety of Beryl. Morganite hues vary from light pink to peach-pink/salmon color. It’s the gemstone of love and attunes the heart chakra. Round gemstones are popular for my brand as well along with my signature open gallery design on the sides of the basket settings. The open gallery space allows for the gemstones pavilion to take its place on stage and shine. I absolutely love a pave halo setting in GIA certified diamonds or sapphires. How do you feel about a collaboration with LL Bridal? If you would love to do it, how would you see it happening? LW: It would be an extraordinary experience. I could see LWJ designing bridal rings for LLB that’s delicate with an edge. Juxtaposition if you will. Unique and elegant designs within an affordable price range. Bridal rings that you would only find exclusively through LL Bridal designed by Lorraine West Jewelry. What are some of the biggest questions grooms and brides ask you when they are shopping for their engagement ring? LW: How long will it take to complete and how will it be shipped if they live outside of NYC. What are your best suggestions on how best to pick their engagement ring? LW: Be realistic with your budget and how long it will take to save up for it. For custom orders, be prepared to pay deposits and final balances on schedule so production and delivery can be fulfilled promptly. Get an accurate ring size for the perfect fit. Get inspired and look at various rings and elements you like. Be creative. and open to collaborating with the designer on your composite of ideas. Custom rings may require more time than scheduled so make sure to plan for production at least 3-6 months in advance of the date you plan to propose. The more wiggle room for extra time the better. Ring appraisal is a must for insurance purposes. Have fun, be patient and enjoy the process.